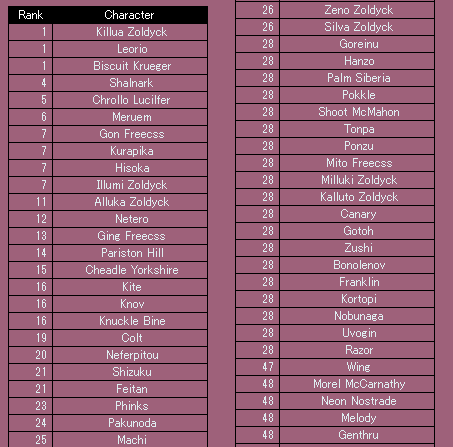 I tried a character sorter in tumblr to help me determine my favorite Hunter x Hunter characters. It really helped a lot. Try it now!